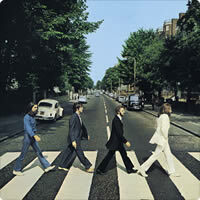 Come Together was written by John Lennon - credited to Lennon/McCartney. Please Note: There are a mixture of barre chords and power chords with preferred voicings... all charts below. 4/4 time or Common Time: indicates 4 quarter-note/crotchet beats per bar | 1 2 3 4 | or | 1 & 2 & 3 & 4 & | etc. Tempo: Moderately Slow Rock Tempo of approx 83 bpm. As the performance is live, the tempo tends to fluctuate. The introduction is 2 down-beats (eighth-note/quaver beats) on Dm7 at the start of each of the 4 bars. Each of the 2 down-beats are on 1 & of each bar. The D5 and D5/add6 is a standard rock/blues method of playing. D5 is a power chord and the D5/add6 simply places the 5th finger 2 frets up from the 5th note (A), replacing it with a B. (see charts). The same applies to the A5 - A5/add6 and G5 - G5/add6 chords. They are not really '5add6' chords in the true sense - they are really 'replace5with6' chords, but this is very confusing to write in simple form. The strum pattern on each of these chords is down strokes in eighth-note/quaver time, so each of the counts in a bar, i.e., 1 & 2 & 3 & 4 & is a down stroke. During the verses, each chord gets 2 down strokes in eighth-note/quaver time, i.e., |D5 - /add6 - D5 - /add6|. The D5 gets 2 down-strokes, and then the D5/add6 gets 2 down-strokes etc. I have added all the chords in the first verse, but have omitted all the repetitions in the remaining verses as the playing pattern is exactly the same. All chord changes that are necessary are included. The reason for that is the clutter of chords everywhere, when there is really no need. If you find the power chords a little confusing, you can simply play the barre chords, e.g., Dm on the 10th fret and add the 6 note as the chart illustrates. The same applies for all other chords, i.e., A7 barre instead of A5, and add the 6th note for A5/add6 (E), G7 barre instead of G5 and add 6th note for G5/add6 (D), etc. Just make sure you play the bottom 3 strings. If you play the alternative (alt) D5 and D5/add6, you can barre the whole 5th fret and play the bottom 4 strings. 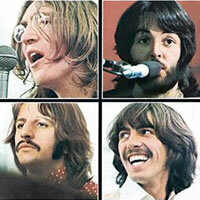 Whatever you decide, the sound is very similar... the important thing is that the chords are correct. At the end of the song, it is better to use the alternative D5 & D5/add6 on the 5th fret... makes it easier to get to the G5 & G5/add6 on the 3rd fret. You will notice all of the above when you watch the video. If you don't know the song, make sure you listen to it a few times and get a feel for it. When you feel comfortable with the song, play along with it. It's a great song, and very easy to play once you get the hang of it. 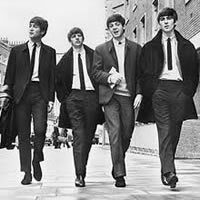 "Come Together" chords and lyrics are provided for educational purposes and personal use only.